Why AdCurve for Google Shopping? To boost your profits! Advertising on many channels could cost you more than you earn. Optimizing campaigns requires analytical skills and lots of time. AdCurve does that for you. AdCurve is available from £19.50 per channel per month. Try AdCurve now free for 30 days. We are always available for support. Installing AdCurve is easy. Just follow the 3 steps in the wizard and you're up and running in minutes. 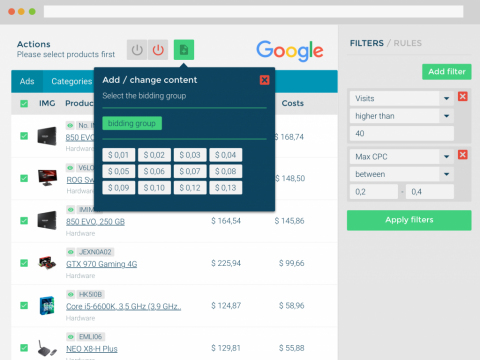 AdCurve collects your product data and allows you to modify your content, add the channel categories and gender and to select the products you want to distribute by API. 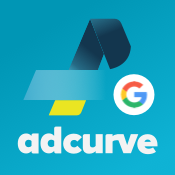 When you connect with your Google Merchant Center account AdCurve automatically adds the API to the Merchant Center. You’re up and running in no-time. 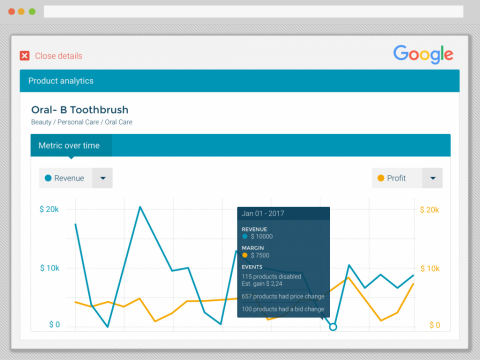 AdCurve analyzes the customer journey, imports the actual costs per ad and calculates the margin you make on every order. You can see the ROI per product ad. Optimize your campaigns with bid management and actionable tips to maximize your profit. 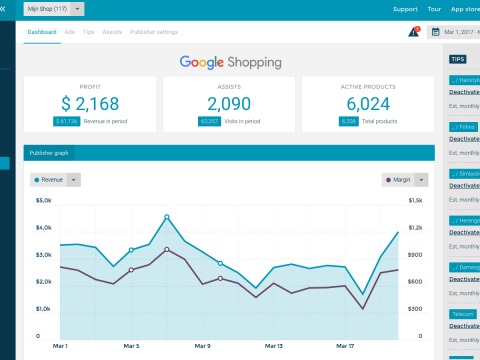 With AdCurve you can connect to over 100 channels like Amazon, Google Shopping, Bing Shopping, Nextag, Connexity, Pricerunner, Pricegrabber, Linkshare, Rakuten Marketing, Polyvore, Criteo, Kelkoo, Shopalike, Facebook Dynamic Ads, Pinterest, Instagram, etc. Check our Knowledge Base for frequently asked questions and quick answers. Or contact our onboarding team via live chat at the same page.